Over the years your catalytic converter on your Wrangler TJ could either rust out or be damaged from all those trail rides you have been on. 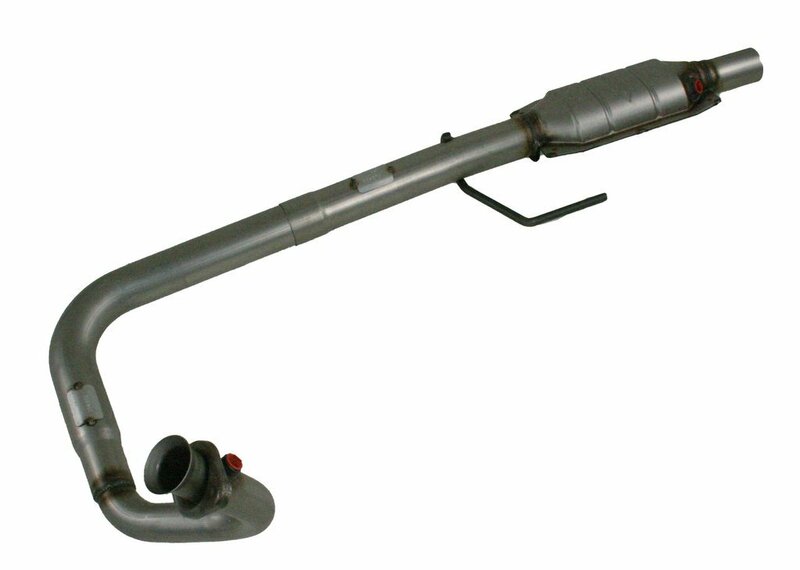 Replace it with a high quality direct fit Undercar Catalytic Converter from Pacesetter. Made of stainless steel and mandrel bent tubing these catalytic converters are made to stand up to the outdoor conditions and are backed with a 5 year warranty. EPA approved but not Legal for sale or use In California. CNC Machined Flanges: Laser cut giving you the peace of mind that it will fit just as good as the original factory converter. Mandrel Bent Design: Allows the pipe to bend without creases or folds while preventing your exhaust tube flattening.